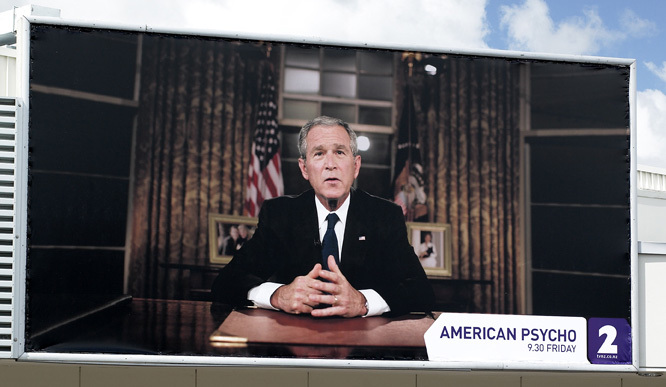 TVNZ promoted the premiere of American Psycho on TV2 in New Zealand with a billboard featuring George W Bush. New Zealanders get it. American Psycho is a 2000 film by Mary Harron, a film adaptation of Bret Easton Ellis’s novel of the same name, starring Christian Bale as serial killer and Manhattan businessman Patrick Bateman. 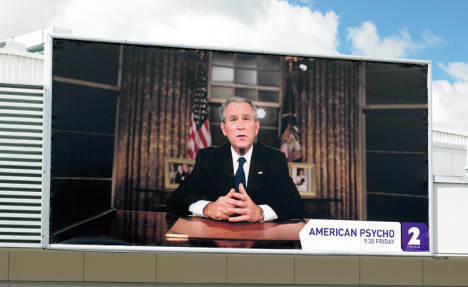 The American Psycho campaign was developed at Saatchi & Saatchi New Zealand by executive creative director Mike O’Sullivan, art director Tim Howman and copywriter Bex Radford, with group account director Sonya Berrigan.